Last year, on Valentine's Day, I posted about the best Valentine I never made. It was a great idea that sadly, just stayed an idea. On that post I had shared a conversation I had had with my husband about it. 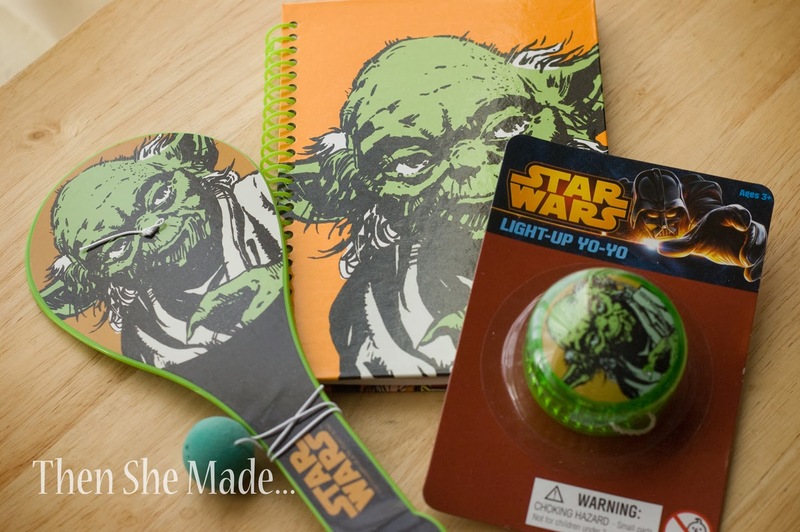 Me: "Tomorrow I'm going to make a Yoda valentine." Me: "It will be cool. It's going to have Yoda on it and it will say - 'Yoda love of my life'." Me: "Do you get it?" Fred: "Very amusing you are!" After that, well, that was the end of it. Valentine's Day passed and clever Yoda sayings left my mind. However, guess what I found in the $1 spot at Target the other day? I think I might have squealed out loud with happiness. I snatched up three items, paid my $3 plus tax and headed home with my treasures. Then, I set to work making my cute guy a really cheap, I mean unique, Valentine. I started with an empty, and un-used, to-go box that I had from a trip to Noodles. We had grabbed too many to-go containers by accident but since my girls put their hands on them, and in them, I felt funny putting them back from people to put their food in, so they came home with us. 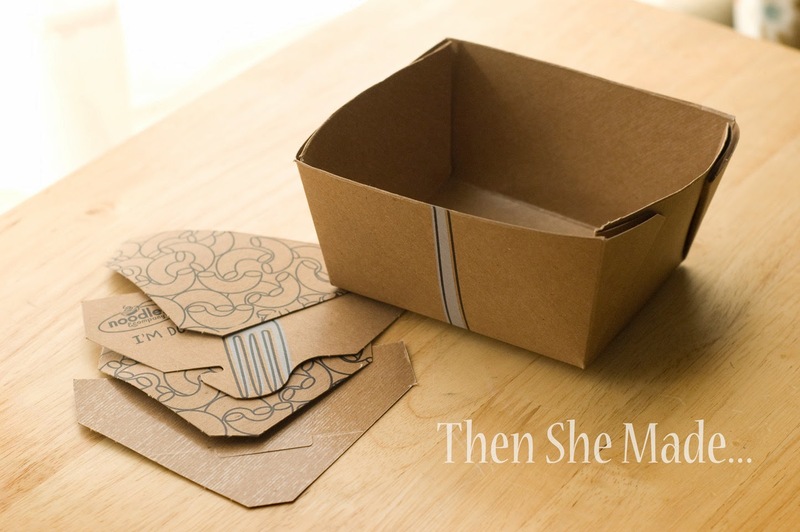 You can buy boxes like these in craft stores or go out to lunch at Noodles and ask for some boxes to go. Next, I cut all the top tabs off so I had just an open box. Then, I took some scrapbook paper and quickly covered the outside of the box. (not shown) I could have left it brown however on the back side it still says Noodles and I didn't like that much. After I added the red paper, I stuffed in some tissue and added my treats. 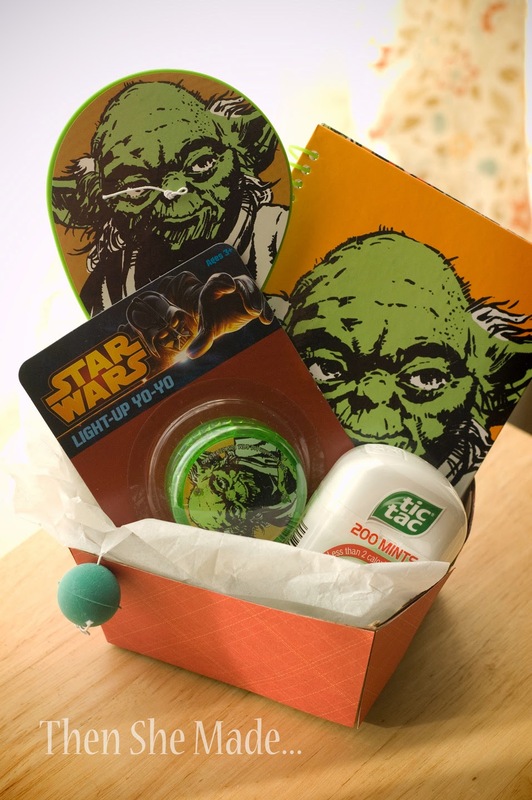 Besides the Yoda stuff, I also added in some TicTac's, because you know, minty breath is always nice and well, ummm, there might be kissing involved - it is a Valentine gift after all. And, check this out. 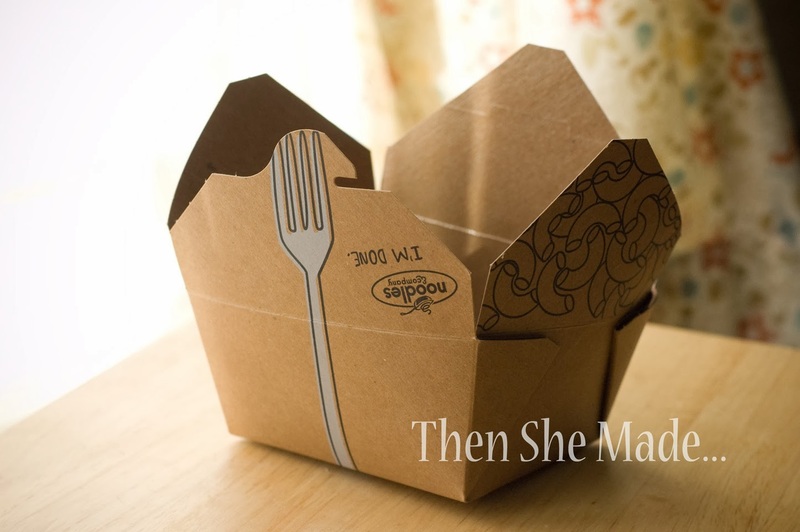 On all the Noodles boxes they have this cute little detail on the side so you can mark your left-overs. 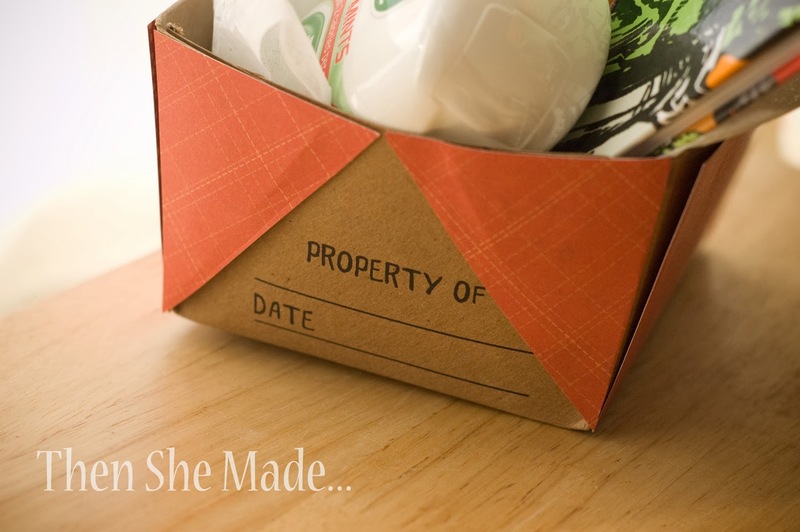 It works perfectly for gift giving because you can put the recipients name on it. Dear Fred - "Yoda love of my life!!!" and then Fred will say, "Very amusing you are!" and we will probably kiss! Ya, you get the idea. It would be perfect for non-mushy, non-candy, Valentine's for classroom gifts. Yoda most clever person I know!